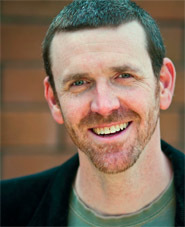 Ted DeChatelet / Full-time Non-Tenure Faculty: Ted deChatelet: Ted is a professional actor, director, teacher and fight choreographer who has worked extensively in New York and in Regional Theatres around the country including: Classic Stage Company, The Culture Project NYC, ACT Seattle, Portland Center Stage, Artists Repertory Theatre, Third Rail Repertory, Public Playhouse, Profile Theatre, CoHo Theatre, Milagro Theatre, the Oregon Symphony, Salem Repertory Theatre, Milwaukee Rep, Repertory Theatre of St. Louis, Buffalo Studio Arena and the Shakespeare Festivals of Colorado, Connecticut, Georgia, Illinois and North Carolina. In addition to the stage, Ted has worked in front of the camera in numerous commercials, industrials, and films. Ted has studied with Wynn Handman in NYC and with the Royal Academy of Dramatic Arts in London. He is an Associate Teacher of Fitzmaurice Voiceworkä and a Certified Teacher of Stage Combat with the Society of American Fight Directors. He co-owns Revenge Arts Stage Combat (www.revengearts.com) and has directed violence for over 40 professional and collegiate productions.